The P-7DX and P-21DX are small portable CW QRP transceivers for 40 and 15 meters, respectively. They were available from Mizuho from 1992 until 1999 as either kits or built and tested. Output is 600mW (P-7DX) or 500mW (P-21DX) key down, and the rigs run on six internal AA batteries. Rodney Tom, KH7L, described them on the Mizuho reflector as " ...about the size of the SST rigs but with meter and a big VFO." Junichi Nakajima, JL1KRA, adds, "...the P-**DX series are the sole CW dedicated 'full QSK', 'super-het' Mizuho gear." The P-7DX and P-21DX were only sold in Japan and are quite rare in the US and UK. There were three versions of these rigs. An early 40 meter version, the P-7, was offered in limited quantities for the 1992 Tokyo Hamfair. The P-7 lacked the finished, painted enclosure. Specifications were identical to the later P-7DX. 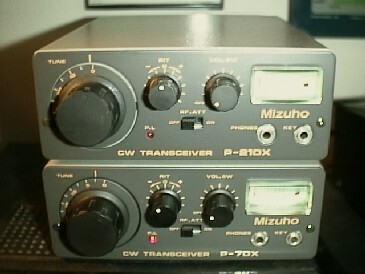 The original version of the P-7DX and P-21DX was introduced in 1992. 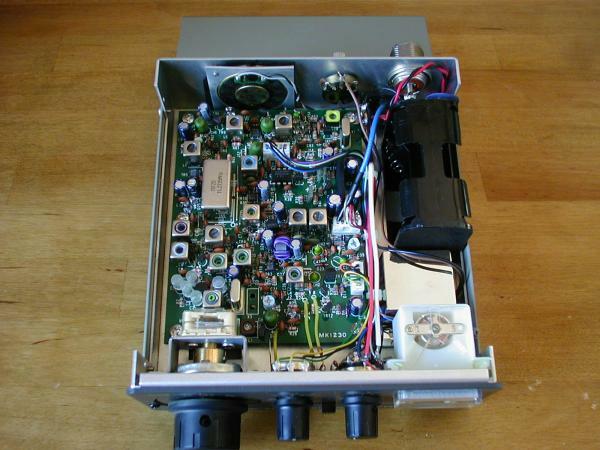 The later, more recent version added an internal speaker, an audio peak filter option (model PF-1A), and an enclosure that was easy to open. Original price in Japan was ¥24,000 for the board completed kit version, with wired and tested rigs costing between ¥28,000 and ¥31,000, depending on when they were being purchased. The radios seem to still be in demand and will sell used for upwards of $200 on the used market in Japan. Thanks to Junichi Nakajima, JL1KRA, who provided additional information on these radios.